A few days ago my family and I were lucky enough to attend the new Big Apple Circus: Metamorphosis in NYC at Damrosch Park in Lincoln Center! We had an amazing time and I cannot wait to tell you about it. 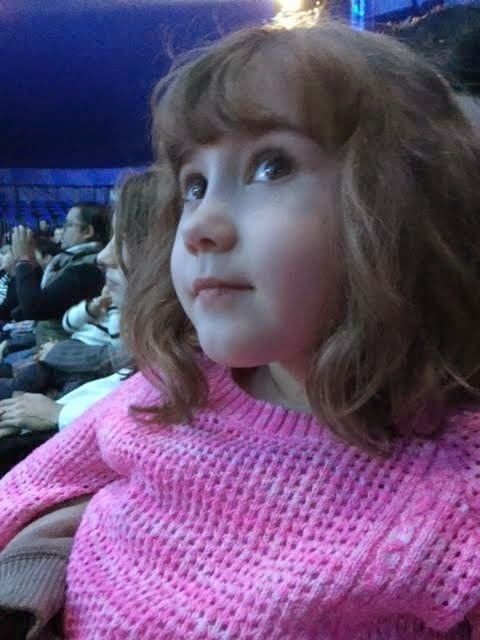 I feel that before I go into the amazing acts that we got to see it is necessary to give a bit of information about the Big Apple Circus because they are absolutely amazing. The Big Apple Circus is a not for profit circus. Not only do they put on regular performances but the believe that the joy of a classical circus should be experiences by all so they travel to healthcare facilities, children's groups, and more. The Big Apple Circus also puts on a Circus of the Senses which is a special performance offered free of charge to children with visual and hearing impairments as well as other disabilities and their teachers, families, or caregivers. They also annually distribute more than 50,000 free and discounted tickets to public and private schools and not-for-profit organizations. The Big Apple Circus is held in a heated circus tent which helps to give a classic circus experience. As soon as we approached the tent my daughter was beaming with excitement about attending her first circus. Since the Big Apple Circus has only one ring no seat is more than fifty feet from the stage making it much less overwhelming than other circus' and makes it easier for children to see exactly what is going on. The Ringmaster, John Kennedy Kane, and Francesco, the musical clown, kept the audience engaged throughout the entire length of the circus and kept children entertained through their interaction with the crowd during the downtime between acts. Throughout this performance we experienced so many wonderful acts such as animal shows, contortionists, acrobats, and more; my daughter was amazed by each one! 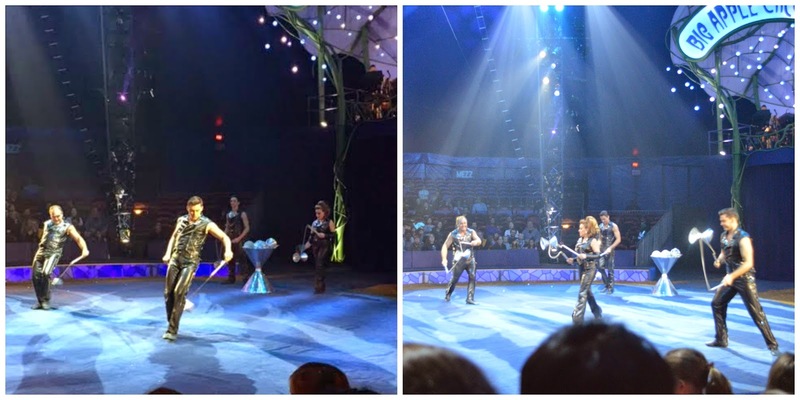 Mia's favorite acts were the animal acts which were conducted by Jenny Vibdel an animal trainer. She had two different animal acts. The first animal act included dogs, ponies, and even a goat. The second included camels and horses. The Anastasinis are a family who continue to raise the bar in quality entertainment. 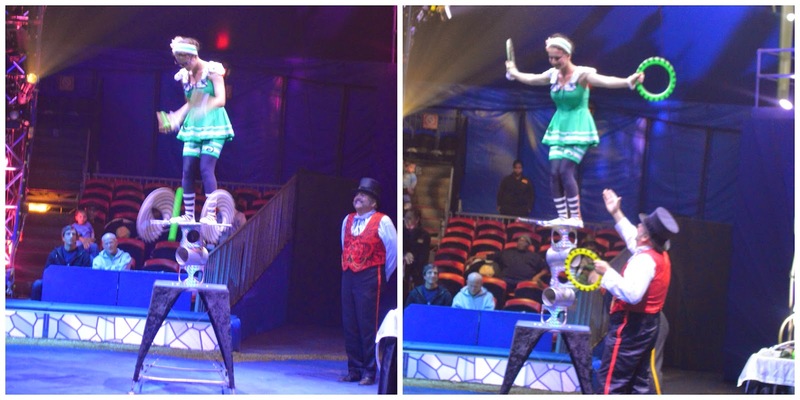 This talented family performed a few acts including acrobatics and an aerial act. They were amazing in each act that they performed. Another favorite of ours was the quick change routine performed by the Amirnov duo! Their act was impressive, fast paced, and kept the audiences attention for every second. One of the acts that I was the most impressed with was done by Tatevik Seyranyan and was a "Rolla Bolla" act. During her act she stacked cans of sorts on top of each other and attempted to stand on top of them while spinning hoops. The level of balance and attention that she was able to provide was so amazing. 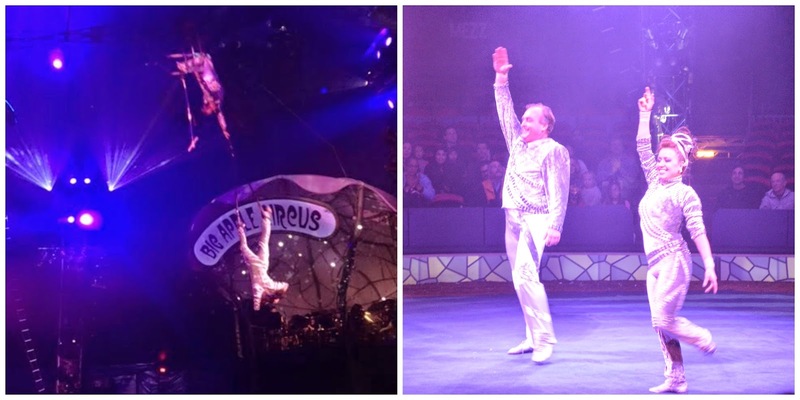 I have never experienced in person an act done by a contortionist until we attended the Big Apple Circus. The act done by Odbayashakh and Tatevik had the entire crowed enthralled and I often even heard gasps coming from members of the audience. 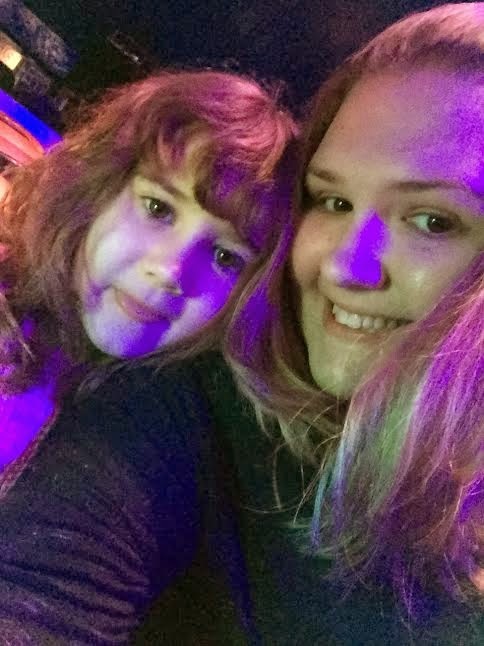 The Big Apple Circus experience was wonderful and I hope to attend again next year with my daughter. Everyone laughed, enjoyed, and had fun! Thank you so much to the Big Apple Circus for allowing us to attend this wonderful performance.